Restoration can yield rapid and spectacular results for this unique community that provides critical habitat for wildlife. Oaks achieve fire resistance with an apical meristem, or growth point, that is located below ground. Fire was critical to the development and maintenance of this ecosystem. It increases the germination of white oak seeds, and opens the canopy to enable all species of oaks to thrive. At the border of Iowa’s forests and prairies, there often existed another ecological community containing aspects of both, but was on the whole distinct. The oak savanna was the result of fire burning the woodland herbaceous layer, and killing most shrubs and trees. Many species of oaks, especially bur oaks, tolerated these conditions, as well as the somewhat fire-resistant shagbark hickory. With a lower density of woody vegetation, the trees could grow outward in all directions, forming large lateral branches. In this park-like environment, only 10 to 50 percent of the ground was shaded by the canopy, and many species of prairie plants thrived. The result was a community with an incredible diversity of plants—some woodland, some prairie, and some unique to the oak savanna ecosystem. Oak savannas provided an incredibly diverse and nourishing habitat for wildlife throughout Iowa. Prairie flowers and seeds provided ample food for pollinators and songbirds, and the nuts from oaks and hickories were a dense source of food for many species of birds and mammals, such as turkeys, blue jays, and the now-rare spotted skunk. Unfortunately, on many Iowa farms, savanna trees were cut down to make more space for fields and pastures. In the cases where they were left intact, underlying prairie wildflowers and grasses were often continuously grazed or mowed, with devastating consequences for the herbaceous plants and the wildlife that depended on them. When the grazing of woodlands became a less common practice in the later 20th century, woodland plants quickly took over, growing up through many remnants. As a result, they can be difficult to find, but knowing about likely landscape positions, as well as surveying historical maps and aerial photos can give you a good idea of where an oak savanna used to be. Large knots on an oak tree in a dense woodland indicate the former presence of large, laterally growing branches, like those found in an oak savanna. Though oak savannas can appear in both upland and bottomland landscape positions, they often emerged in drier locations such as south-facing slopes, where fire could spread more vigorously. In pastures, savanna remnants are still easy to identify by the large, ancient oak trees. Though the blaze of a prairie fire has not run up these hillsides in 150 years, livestock grazing prevented some of the forest from enveloping the trees. However, in most cases the heavy, continuous grazing has also prevented new oak and hickory trees from emerging to replace them, as the older trees are beginning to succumb to disease and die out. Where all fire, livestock, and haymaking disturbance ceased, fast-growing woodland trees such as ash, elm, mulberry, and cherry grew up throughout oak savannas, making them harder to distinguish from land that would have been densely forested around the time of settlement. Complicating the matter, many of the large, lower lying lateral branches that are characteristic of the ecosystem will actually die and fall off when shaded out by dense woodland trees. 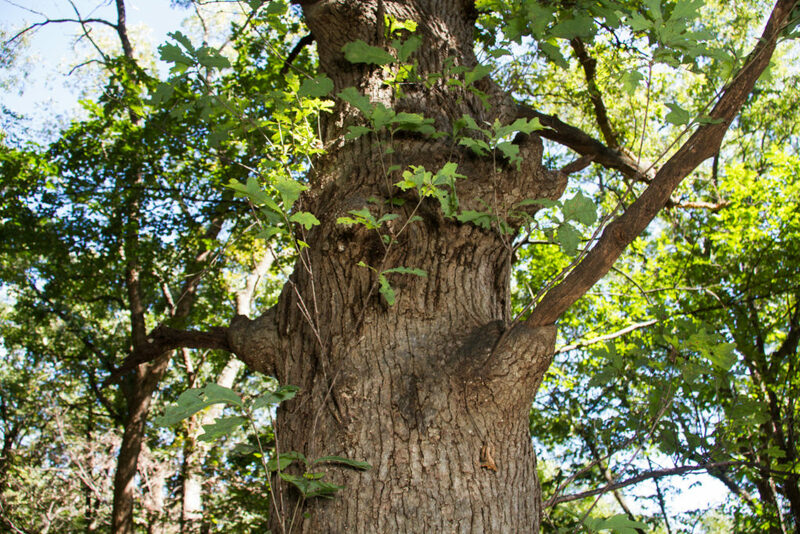 Though this makes identifying a remnant a little more complicated, the trunk of these trees will be marked with large knots where the lower branches were once connected. One tool to estimate where an oak savanna may have been located in 1850s is the historical vegetation map, available through the Iowa Geographic Map Server. Wherever the map is light green, it indicates that land surveyors found “scattered trees” (likely oak and hickory savanna) in the 1850s. Also, you may find signs of an oak savanna at the border of prairie (tan) and forest (dark green). Finally, check out the earliest aerial photos available in the public record, taken in the 1930s. If you zoom in close, you may be able to make out large trees with shorter vegetation underneath. While there could be other causes of these widely spaced trees, it could indicate that an oak savanna was located here, and is worth investigating on the ground. On the left, the light green area indicates the location of scattered trees in the 1850s. On the right, an aerial photo shows that some scattered trees remained intact through the 1930s. 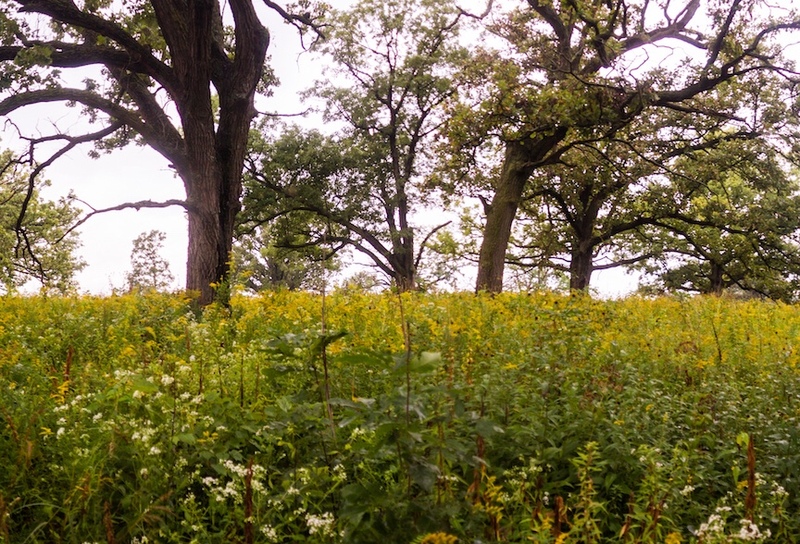 Restoring an oak savanna can yield rapid and spectacular results. A forest formerly overgrown with woody plants can be blooming with prairie wildflowers within just one year of restoration. Lower oak and hickory branches that have been shaded out to the point of being on the brink of death can often resume growth when sunlight again becomes available. This incredible ecosystem metamorphosis is achieved by removing the forest’s woody vegetation with the exception of oak trees, hickories, and certain native shrubs. This has traditionally been done with a combination of chainsaws, brush mowers, herbicide, and prescribed fire. A prescribed burn reinvigorates native prairie, and suppresses non-native plants. 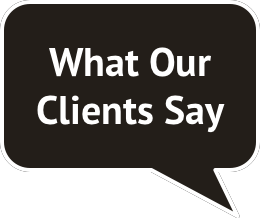 However, it can usually only take place when enough fuel (dry plant matter) is present, which is often after the vegetation has been cut down and allowed to dry out. 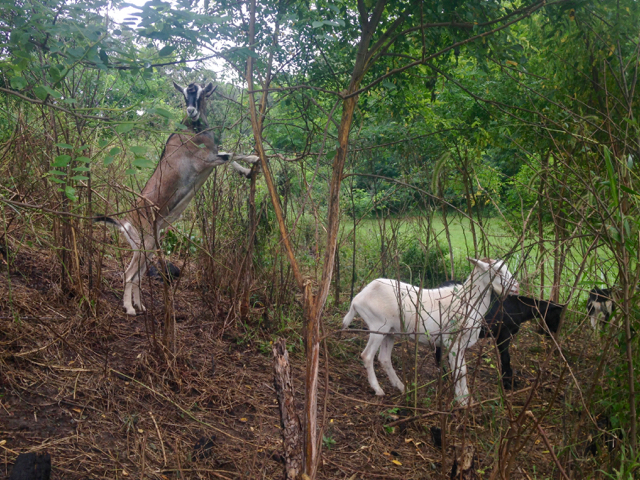 In recent years, a fifth tool–prescribed goat browsing–has become more common in woodland restoration projects, as goats are very skilled at defoliating invasive shrubs such as tartarian honeysuckle. In a pasture or farmstead, the process of oak savanna restoration is very similar to a prairie restoration, as detailed in our previous post, Remnants of a Rare Ecosystem. Livestock is fenced out, or mowing is ceased for a period of time to facilitate a prescribed burn. If sufficient prairie/savanna species do not re-appear in the following year, it can be either interseeded or re-seeded with local-ecotype species. Goats clear out unwanted black locust, tartarian honeysuckle, and autumn olive during an ecological restoration in western Iowa. Though oak savannas were once present throughout Iowa, they have now become a rare, threatened ecosystem. As a result, many species of animals that make their habitat in the oak savanna, such as the least tern, slender glass lizard, the Indiana and Northern long-eared bats, spotted skunk, and barn owl, are now endangered or threatened in Iowa. Take a closer look at the large, branching oak and hickory trees in your woodland, acreage, or pasture. Before long, the ground could be blooming with prairie flowers, and the air humming with pollinators, and the branches of the large trees filled the song of birds, who have finally found their home. Timber Hill Oak Savanna: A compelling book and website about an oak savanna restoration in Decatur County, Iowa. Learn more about the relationship between grazing and native prairie in our blog, Remnants of a Rare Ecosystem.